Michael N. Liebman, Ph.D. is the Managing Director of Strategic Medicine, Inc and also of Strategic Medicine, BV (the Hague, NL) after serving as the Executive Director of the Windber Research Institute since November, 2003. Previously, he was Director, Computational Biology and Biomedical Informatics at the University of Pennsylvania Cancer Center since September, 2000. He served as Global Head of Computational Genomics at Roche Pharmaceuticals and Director, Bioinformatics and Pharmacogenomics at Wyeth Pharmaceuticals. He was also Director of Genomics for Vysis, Inc and Director of Bioinformatics at the Amoco Technology Company. He is a co-founder of Prosanos, Inc (2000)(now United BioCourse Corp). He has served on the faculty of Mount Sinai School of Medicine in Pharmacology and Physiology/Biophysics. He serves on 14 international scientific advisory boards, consults for 5 pharma/biotech companies, the economic development programs in the Philadelphia Life Sciences Sector and the State of Illinois Biotechnology Commission and is on the Board of Directors of the Nathaniel Adamczyk Foundation for Pediatric ARDS. He has been a member of External Advisory Board of both the BRIN and INBRE programs in Delaware. 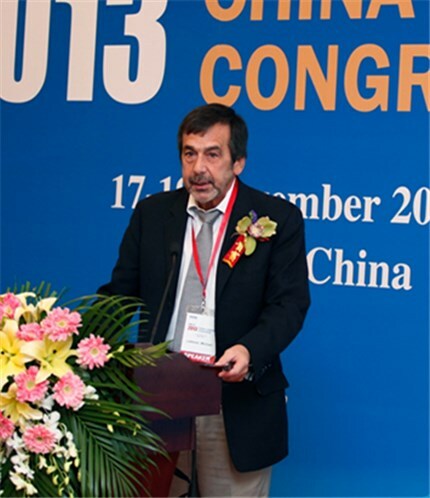 He is an Invited Professor at the Shanghai Center for Bioinformatics Technology and is currently on the Human Health and Medicinal Chemistry Commission of the IUPAC. He received his PhD in protein crystallography and theoretical chemistry from Michigan State University(1977) and his BS in physical chemistry from Drexel University(1970). He did postdoctoral work in tRNA crystallography and molecular evolution at the University of Wisconsin. His research focuses on computational models of disease progression stressing risk detection, disease process and pathway modeling and analysis of lifestyle interactions and causal biomarker discovery and focuses on moving bedside problems into the research laboratory to improve patient care and their quality of life. Recent activities also include computational approaches to drug safety and toxicology with specific emphasis on reducing animal testing.